The Celtics (15-15) look to rebound as they have lost their last three as they take on the defending champs the Dallas Mavericks (20-12). Both teams are coming off of losses yesterday as the Celtics lost to the Detroit Pistons 96-81 in a game where Kevin Garnett did not play due to undisclosed personal reasons and Rajon Rondo was ejected. The Mavericks are looking to recover as they were the latest to be hit by Linsanity as the Harvard grad went for 28-14 against them. This is the 3rd game for the Celtics on a 5 game road trip. 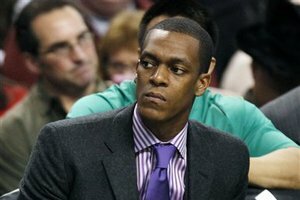 The Celtics will be without Rondo (suspended), Bass (Knee) , and may also be missing Kevin Garnett for a second straight game. The Celtics are 4-7 on the road this season while the Mavs are 12-5 at home. David Stern isn’t winning many fans over this season, and his suspension of Rondo 2:30 hours before game time surely will not win him over any more in Boston. The Celtics point guard has been suspended for the next two games after he was given a technical and then tossed a ball at a referee and finally ejected. While tossing a ball at a referee is of course not acceptable, the referees officiating the game were horrible and Stern should account for that. The suspension was to be expected though and the Celtics will likely go with Avery Bradley in Rondo’s place for the next two games. They are 13-4 when he plays over 10 minutes. The Celtics have been getting killed by teams with offensive rebounds and second chance points. They gave up 16 offensive rebounds to the Pistons the night before, when the Pistons were using two or three point guards on the floor at the same time. The Celtics need to start boxing out and preventing the opportunity for second chance buckets. Even with Rondo out for the game, the Celtics need to push the ball. The Mavericks have one of the best half-court defenses in the NBA. According to Synergy Sports they are ranked fourth right behind the Celtics. The Celtics are averaging about 97 offensive possessions per game and I would like to see that number climb up past 105. The half-court offense has struggled and especially without Rondo, the Celtics should look to push the pace. Finally the Celtics have been getting way to stagnant with the ball. They have been taking tough shots at the end of the clock. Players are deferring to each other way too much and the chemistry especially with the second unit has been lacking. The Celtics need to start passing the ball and moving it around to have a good game. This entry was posted in Celtics and tagged boston celtics, boston sports blog, Dallas Mavericks, kevin garnett, rajon rondo, ray allen by leibo4. Bookmark the permalink.